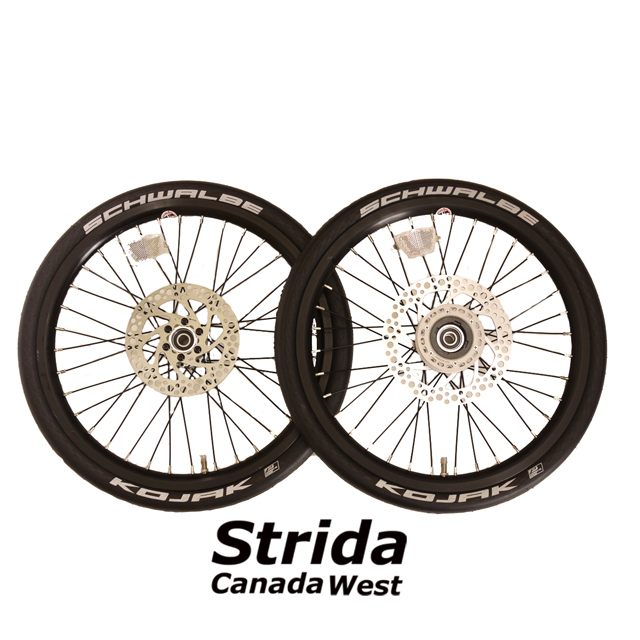 This Strida 18 inch wheel set comes complete with Innova Strida puncture resistant tires, [ not the Kojak tires shown in the photo] brake rotors and freewheel installed. 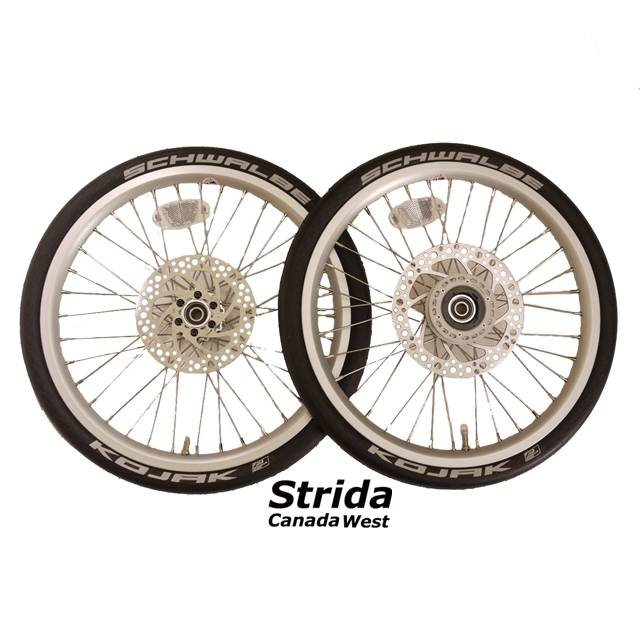 If you are upgrading your Strida from 16 inch wheels and you would like to continue using fenders than you will need to also order 18 inch fenders. 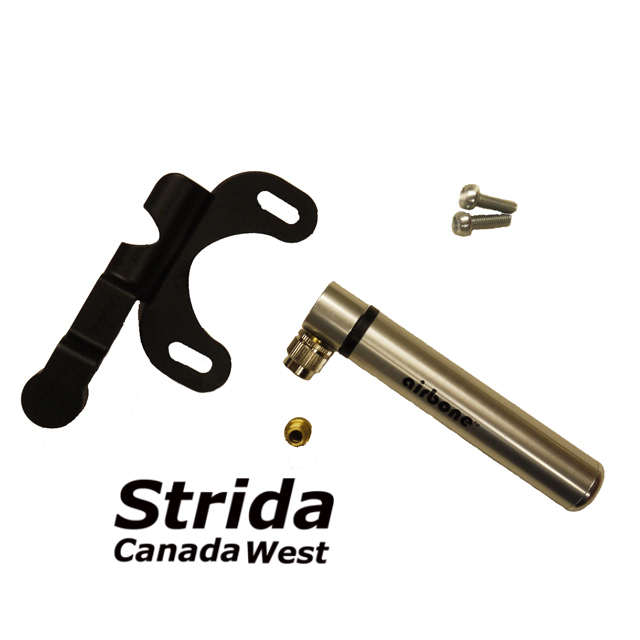 You may also consider replacing your drive belt with this upgrade. 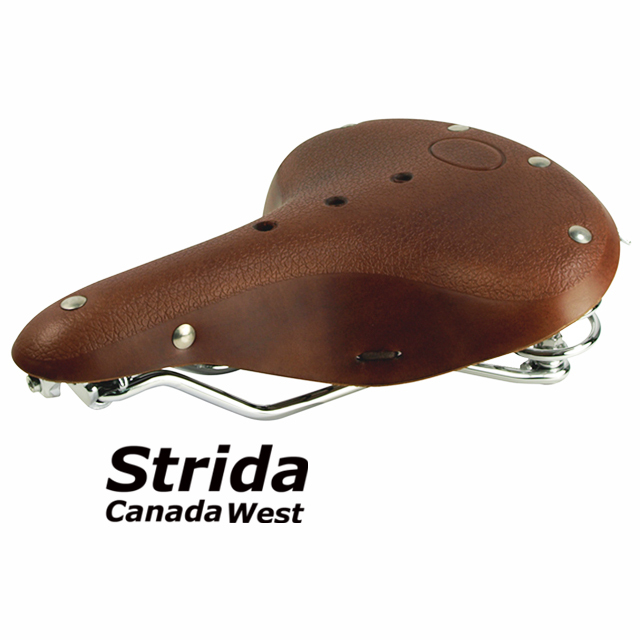 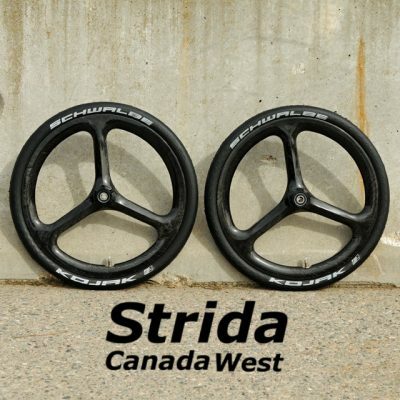 "I love working with Bill Wilby and Strida Canada West. 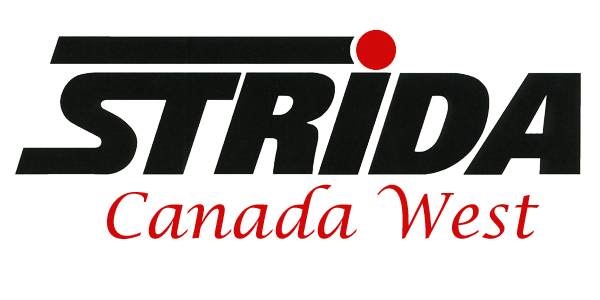 I work my Strida pretty hard, riding it year-round in Ottawa. 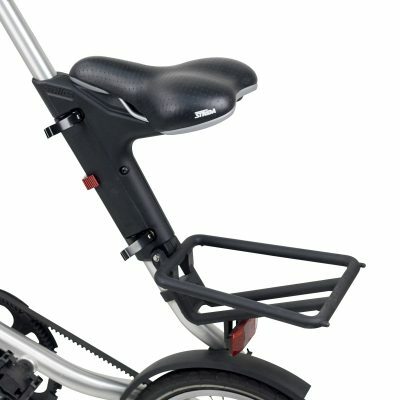 Bill has always been responsive and helpful with advice, parts, and essays about how to maintain the bike. 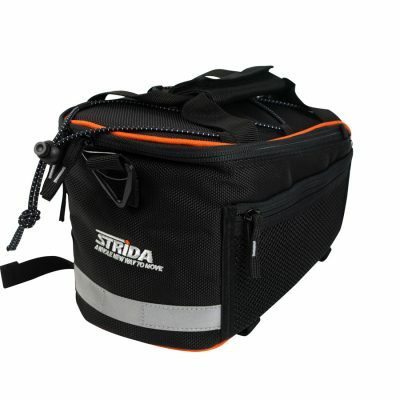 He is happy to communicate with my local bike shop when they need help. 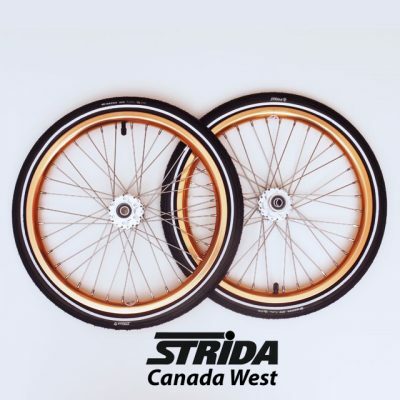 I recently bought my second Strida from Strida Canada West and I'm a happy customer."